I’m sitting in a polka-dot skirt in my bedroom looking outside as all of God’s creatures are raining down. Today was supposed to be sunny. And it was. 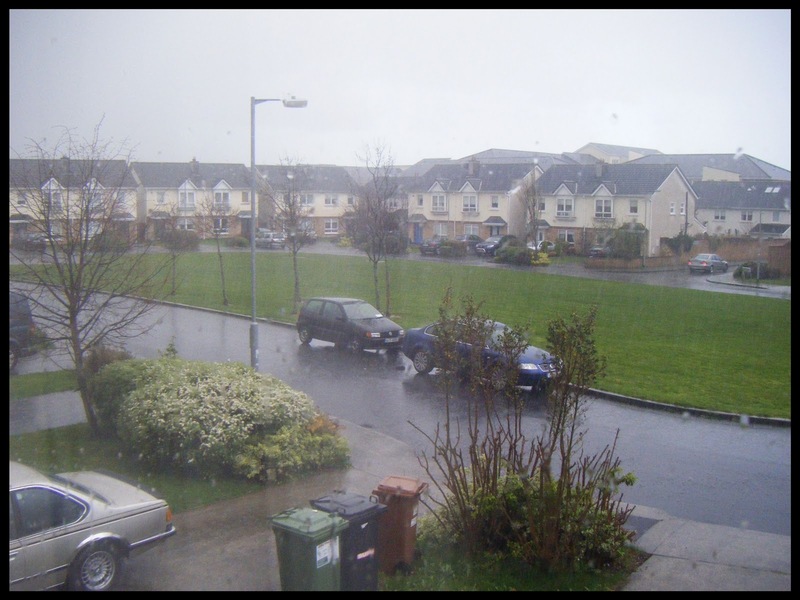 Just another unpredictable day in Ireland. Although the rain won’t be captured by my camera, rest assured that it is there.